ExCeL London, the Capital’s largest events venue, is also home to London’s first-ever International Convention Centre – ICC London ExCeL. 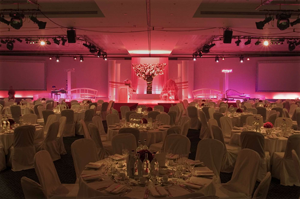 ICC London ExCeL offers the UK’s largest auditorium (up to 5,000), London’s largest banqueting hall (3,000 guests) and a stunning, multi-function conference suite with fabulous reception areas (2,500 delegates). The ICC is seamlessly integrated with ExCeL’s existing meeting and exhibition space, including fully appointed meeting rooms, a self-contained conference facility and expansive Event Halls, ideal for large-scale events.